Our mission is to surpass our customer’s expectations on every project with outstanding quality, service and value. We treat every customer with dignity, sincerity and professionalism while delivering a quality product in a timely manner, striving to create long-lasting, mutually beneficial relationships. We pride ourselves on being a complete source for all of our clients business communications needs, helping our customers achieve their marketing goals and objectives. We strive to be on the leading edge of technology, because we sincerely we believe that investments in new technologies sets us apart, and can actually save our clients money, by improving efficiencies. We guarantee complete satisfaction with every product we sell, and all the services we provide. 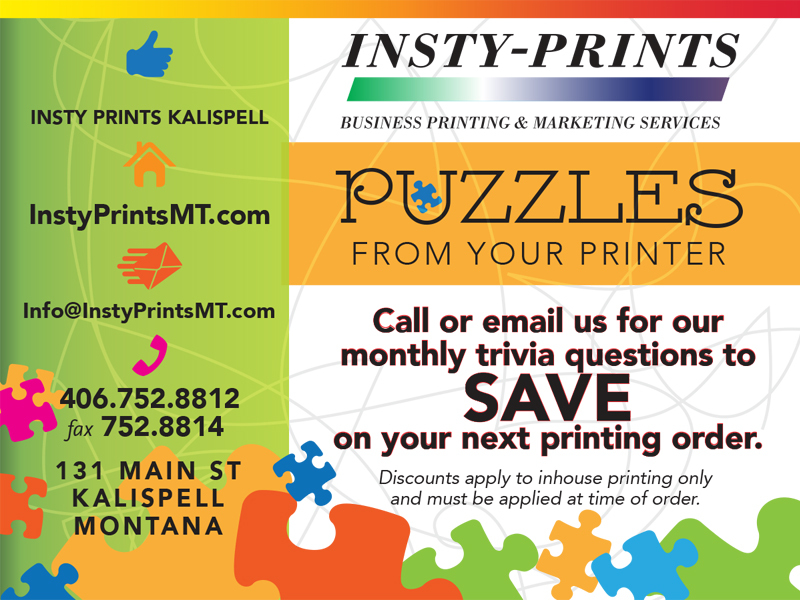 Insty Prints opened it’s doors in 1987 and has always been located in the 100 block of Main Street right in the heart of historic downtown Kalispell. A satellite store opened on Hwy 93 South in Polson 7 years later. We love being “downtown” in our communities and appreciate the relationships we continue to build as we grow our business. Create custom catalogs to keep your customers informed of your latest products and services. 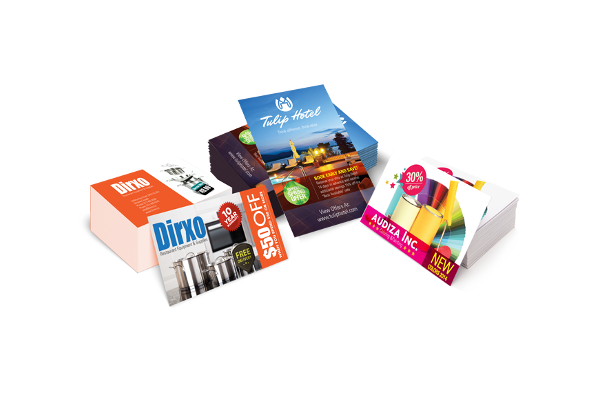 Black ink or Full-color printing, spiral or combined your booklets for ease of use. 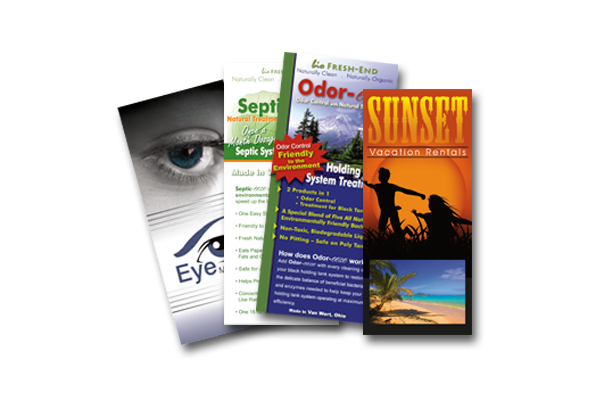 Brochures conveniently provide an extra punch to your marketing message in an	inexpensive, small package. 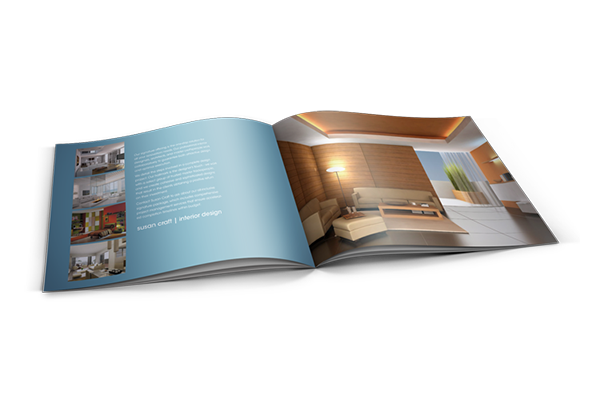 Put brochures to work for you in your next marketing campaign, acquaint customers with major services you provide and point out key features and benefits to new and potential customers. 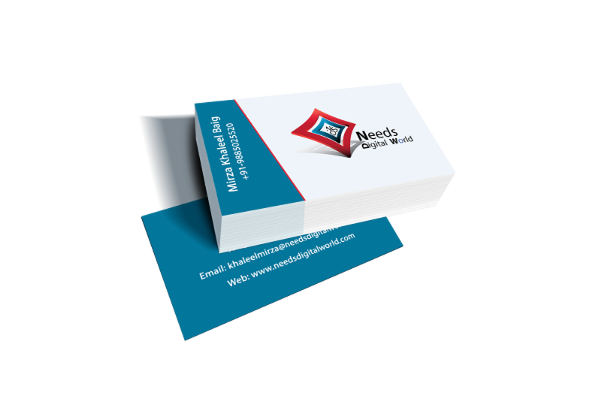 Your business card is the most important piece in your marketing arsenal. Effectively designed business cards provide a first impression with your prospective customers, and put your contact information right at their fingertips. 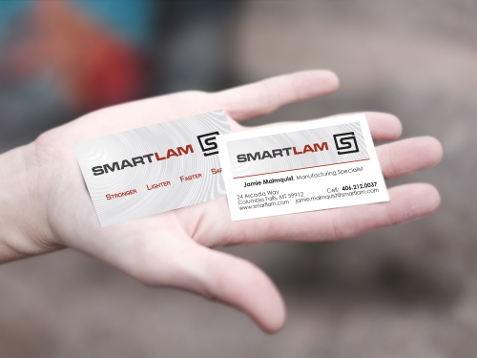 Maximize your business card’s impact with full-color printing and graphic design. Streamline your workflow with carbon-less forms. 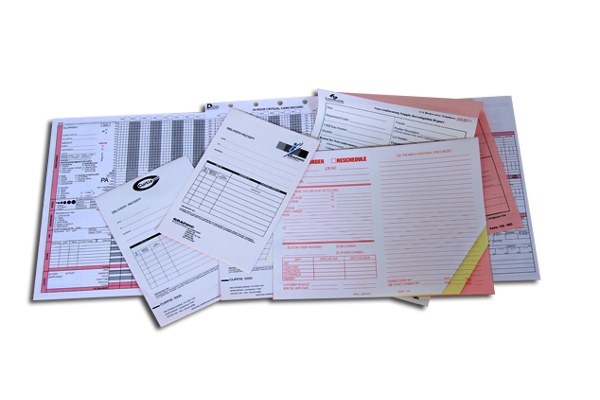 From invoices to order forms, packing slips to receipts, inventory checklists to service contracts, a well-designed carbonless form will save you time, and money by providing an instant duplicate you can provide to customers. Door hanger advertising is a unique way to catch a prospect’s eye. Because door hangers must be removed from the doorknob, they are likely to be read and make an impression that lasts beyond a simple glance. A valuable tearaway coupon or easy-to-save business card can be included at the bottom of the hanger. 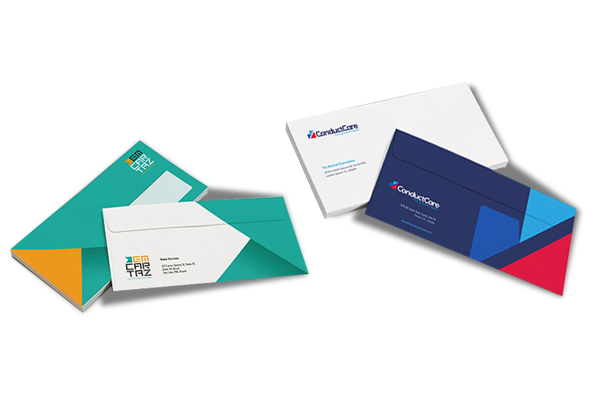 Whether a simple, one-color remittance envelope or a full-color piece featuring colorful imagery and text, we can design and print envelopes to suit any need. Give you customers peace of mind by using tinted security envelopes instead of standard commercial envelopes for that extra security measure. 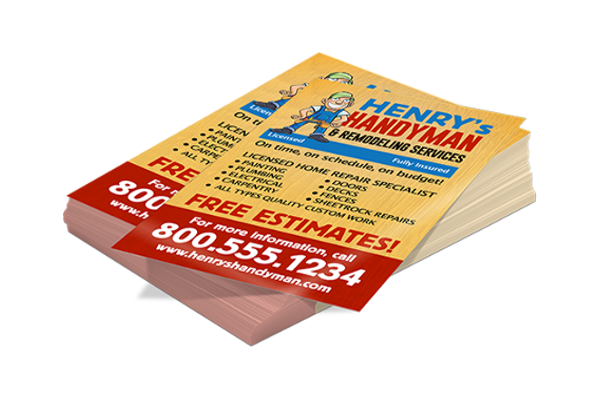 Flyers are a cost-effective way to cover a large area. Flyers are a powerful sales, great for promoting events, upcoming sales, or highlighting limited special offers. 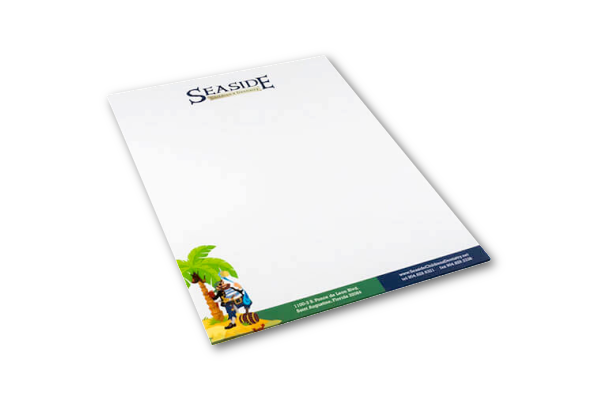 Use your letterhead to create an image of professionalism, from single to full color, we can design a multi-use marketing piece you can be proud of. Postcards are ideal for simple, targeted mailings, as well as larger, more full-fledged campaigns. They are inexpensive and perfect for introducing new products, announcing upcoming events, or keeping in touch with customers on a regular basis. Rack cards are a must for any marketing campaign. They can be displayed in racks and are easy for customers to grab and take home with them. 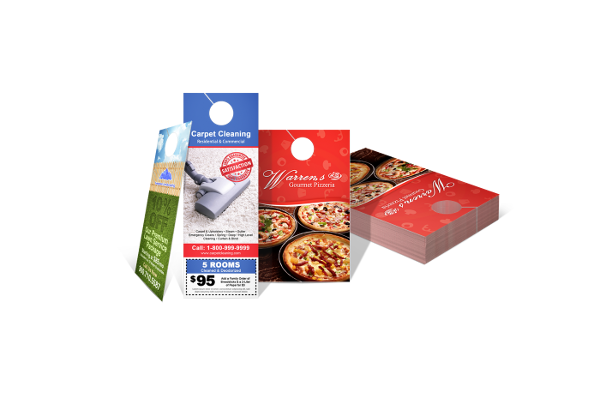 Add your business card or a coupon to the rack card with a tear-away perforation. Include rack cards as a mailing insert to promote a new or existing product. 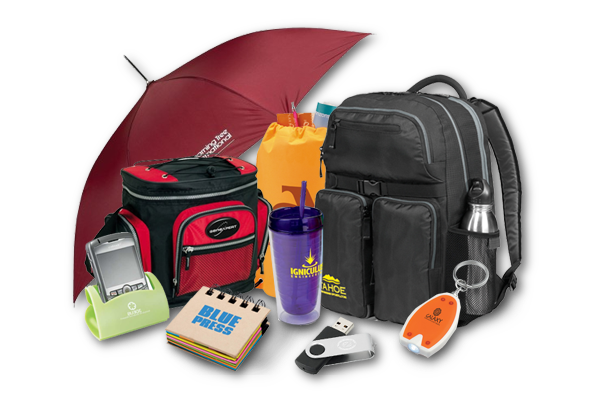 Promotional products are unparalleled in their ability to attract new clients, increase brand awareness and ultimately grow your business. They are a proven, cost effective way of marketing your company to an extremely large audience while doing minimal work. 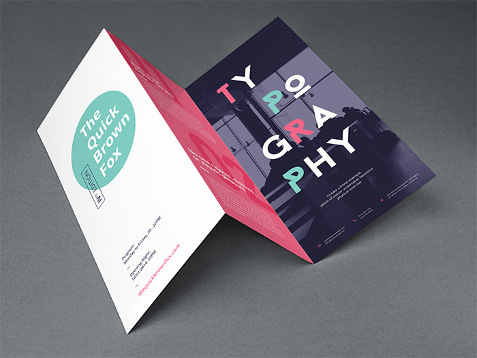 A well designed business card can get you noticed. This card was made to capture the eye of the client and was designed in house. Here at Insty Prints we can design your logo and any other graphics need to make you business stand out. 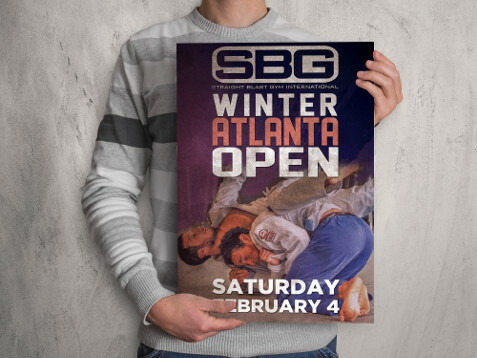 A well designed poster can get you noticed. This poster was made to capture the eye of the passer by and was designed in house. 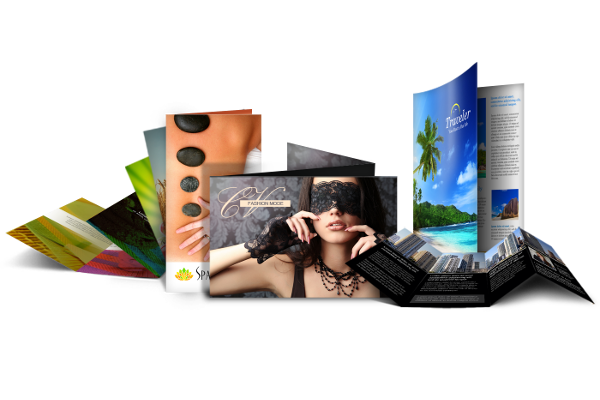 Your brochure should not only be eye catching, but give a great summery of your products and services. Insty Prints has a full staff of graphic artist and copy writers to help design your brochures. This brochure was designed and written in house. 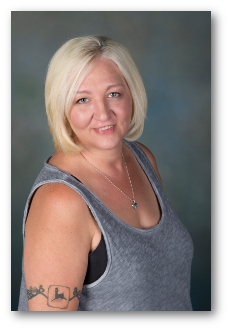 Tamara has been with Insty Prints of Kalispell and Polson for 29 years, and is owner of the stores for over 19 years. Tamara believes in giving back to her community and volunteering her time to organizations she is passionate about. An active member of the Rotary Club of Kalispell, serving as club president, 2012-2013, and is past- president of the Flathead Rotary Community Foundation. Other board positions she currently holds are; Evergreen School Board, Chairman (16 years), Rotary Club of Kalispell, Glacier Booster Club, Glacier Symphony and Chorale, Gateway Community Center, and various committees associated with those mentioned. She loves working with customers, building relationships and the fast paced nature of the business. 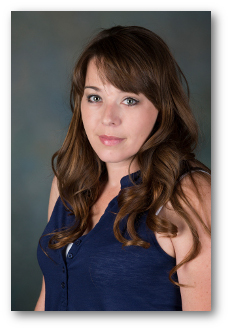 Mishelle was born and raised in the Flathead Valley, She has seen all the changes that have come to our little valley. Having been at Insty Prints for over 25 years now, She also seen all the technological changes that have transpired in the printing industry. She attended college at Montana State University for graphic design and worked at other print shops before Insty Prints, but the environment here made her stick. Her favorite part about being a graphic artist here at Insty is that every day brings something new and different. She loves what she does and the people she works with making her one lucky gal. 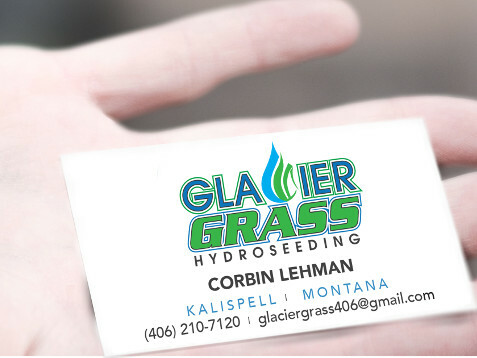 Robyn started at Insty Prints of Kalispell in 1997. Specializing in print advertising, logo design, and making things look great, she will always do her best to make your project the best it can be. 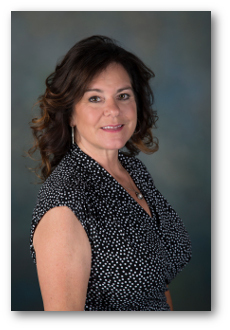 She has the experience to help guide you to a finished product that not only meets your needs but exceeds them, offering budget solutions keeping your pocketbook in mind. She believes that great products come from great imagination, hard work and coffee, (not necessarily in the order). She spends her spare time with her husband and two children camping, enjoying all the great things the Flathead have to offer, and co-chairing the parents group at Peterson school. 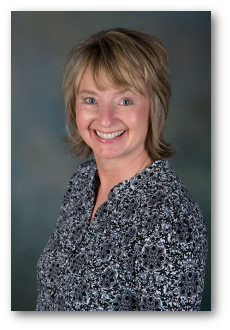 Andi is a Kalispell native and has enjoyed working in the printing industry for over 24 years. Having worked in almost every area of printing, (including running a printing press), Andi is currently a graphic designer and customer support specialist. Graphic design gives her an opportunity to express her creativity while building relationships with her customers . 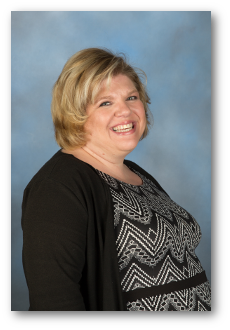 As a wife and mother of 2 musically talented children, she enjoys spending time boating, swimming and kayaking on Ashley Lake with her family in the summer. Josh has been a part of the Insty Team “officially” for a over year, however he practically grew up in the shop as his mom, Lorie has been a part of the team for 19+ years. 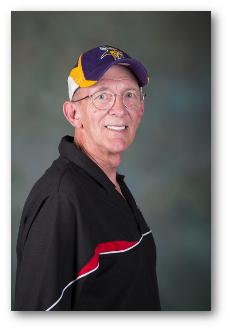 He is currently manager of our copy department, and works in the bindery department as well. He’s our “techy” guy, not afraid to try new things and find the most efficient way to the get the job done. Scott started out learning how to run offset presses in Anchorage, Alaska. 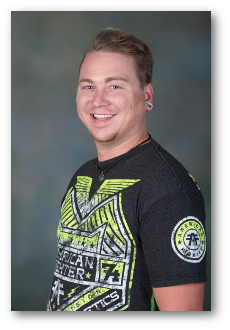 He worked for Alyeska Pipeline & The Anchorage School District as an instructor for the Career Center. Scott’s career in commercial printing didn’t really start until he moved to Seattle in the late 80’s. After living there for several years, his hometown of Kalispell was calling him home. Scott joined up with Insty Prints in 2002 and have been here ever since. “It has been wonderful working with the great people here at Insty,” Scott says. 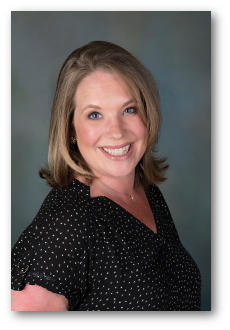 Lorie has been a part of the Insty Prints team for ovr 17 years. She puts quality at the top of her list when completing your projects in the bindery department. She loves the outdoors and riding her motorcycle every chance she gets. Always looks forward to spending time with her children and grandchildren. Mariah was born and raised in the beautiful state of Montana. She has a passion for the outdoors and meeting new people. 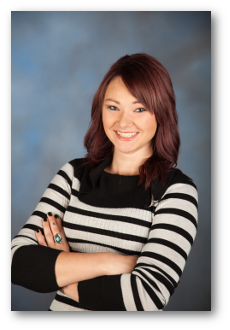 She's currently enrolled at FVCC working towards her degree in physical therapy. Believing a positive attitude will take you anywhere, she is perfect as our delivery person and customer support specialist. Shannen is the store manager, graphic designer, copy specialist and just about everything else for our Polson location. She loves the fast paced nature of the business and working with customers to make sure their project exceeds expectations. When she is not working, Shannen is busy with her family attending sporting events, and enjoying the all the outdoor beauty Polson has to offer.